There is nothing too major here. 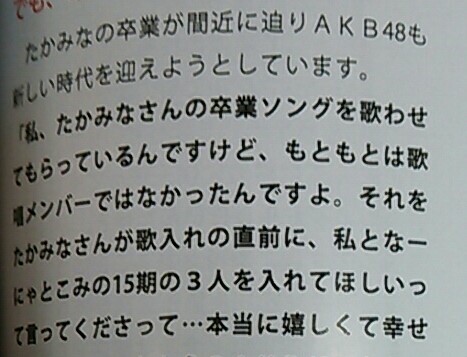 Jerry says he wants to translate Mariyagi’s graduation announcement, but maybe he’s too lazy to do it! There was a recent live cast on LINE messaging app recently. It was a talk show featuring Yukirin, Mayuyu and Kato Reno. You can watch it here if you haven’t seen it (sorry, Japanese only). There’s a segment where they go over news starting form 10 years ago, in 2005. One super popular Japanese television drama was called Densha Otoko (or “Train Man”). Yukirin and Mayuyu remember it fondly. For me, personally, I have never met a Japanese person who didn’t at least recognize the name. However, Kato Rena says she doesn’t know it! Perhaps it’s not surprising considering her age, but Densha Otoko is also notable for its related to themes about Akiba and otaku cultural. For a group member named Akiba, it seemed a little surprising! If you haven’t seen it, I highly recommend it. It’s also mentioned that the songs that Akimoto has written lyrics for have totaled over 100 million over the course of his career. It’s quite an amazing accomplishment! In summary, it seems that the management didn’t originally include Owada Nana or Mukaichi Mion to sing in Takamina’s last single. 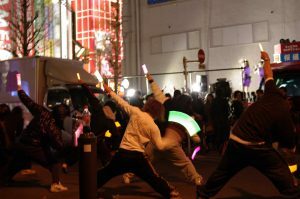 It was only after Takamina asked the management to do so that they were allowed. 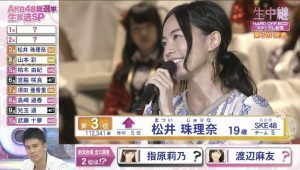 It’s not often that I encounter news about Kenkyuusei, but AKB understudy Hiwatashi Yui has been considering a name change. 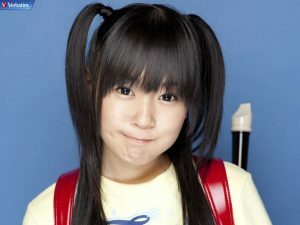 Typically, her nickname is Yui-chan, but she has been contemplating the name “Hiwa-tan” instead. It’s a pretty unique name, but perhaps too unique? AKB48’s 42nd single, “Kuchibiru Be My Baby” has first day says of 813,044 sold! It was also the #1 best seller for that day. Personally, I couldn’t ever get into the game very much, but it is quite popular. Nana is the shortest one! Previous PostAkimoto to create AKB sister group in Mexico?Next PostYou want these cool-looking AKB Figures!! 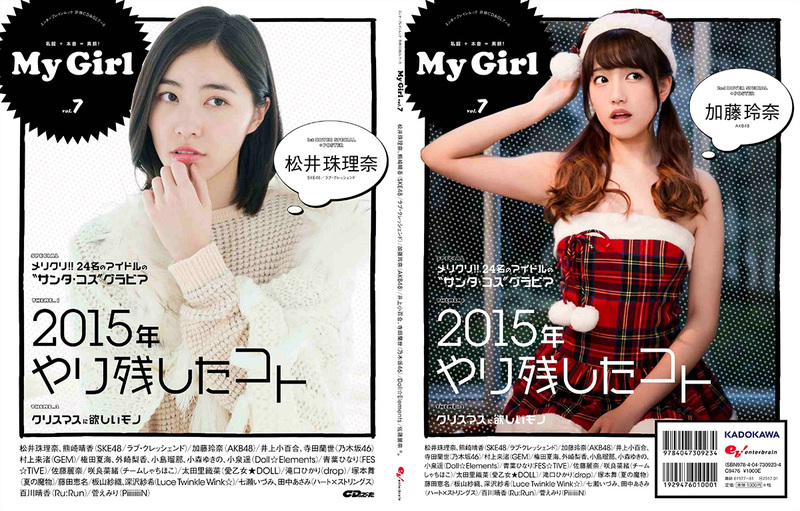 Hashimoto Nanami, Nishino Nanase and Shiraishi Mai already released photobooks which were as revealing as “normal”. So I think they already threw out that policy. Hmm, good point. Perhaps I thought more about mizugi/swimsuit. Overall it seems they’re more conservative compared for 48-group members. Still I can’t imagine Ikuta wearing revealing things like Maiyan!